1. 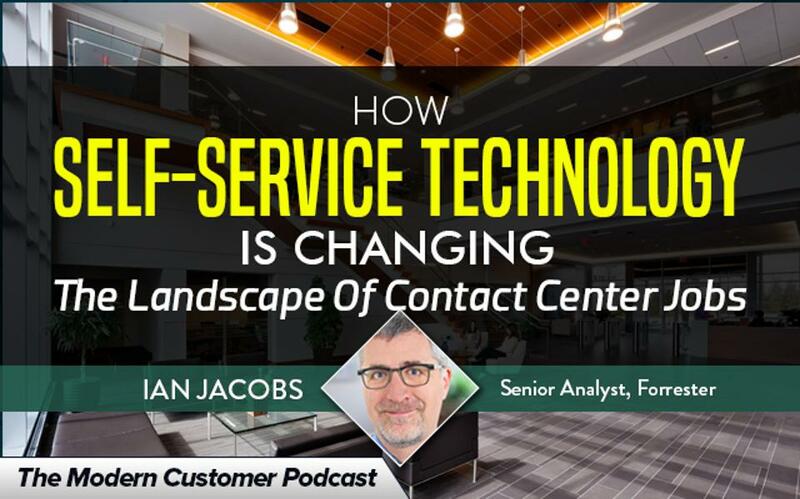 Customers are using self-service technology more, which means that calls coming into contact centers are things that a customer can’t answer on their own. Contact center agents are answering more difficult questions than they have before. 2. Because customers almost always try to self serve before they call a contact center, traditional contact centers are now escalation channels. Customers calling in are often frustrated because their previous attempts to find answers have been unsuccessful. Agents are handling more difficult situations and are starting at a disadvantage versus where they were even just a few years ago. In response to many of these developments, a growing number of companies are turning towards a concierge approach to customer service. Instead of the traditional tiered approach where simple questions were answered quickly and the more difficult questions were passed on to the experts, many contact centers are following the example of hotel concierges by giving agents the power to follow any question through from start to finish. The concierge approach allows questions to be answered more thoroughly and quickly with better human interaction and is a better fit for more complicated, high-touch customer questions, like what most contact centers are receiving these days. Empowering agents also elevates them in the company and makes them more likely to provide a better customer experience when they are more invested in the company and its customers. The face of customer service and shopping is definitely changing. As technology continues to grow, companies will be forced to innovate with new ideas to provide a better customer experience. For companies considering adopting new customer service technologies, Ian’s best advice is to start small by testing one area of the technology before expanding it to more applications. Self-service technology has changed the face of customer experience and can be a great resource for many basic customer questions. By embracing technology and continuing to improve all aspects of the customer experience, companies can see continued growth and success. « What Is Transformational CX?